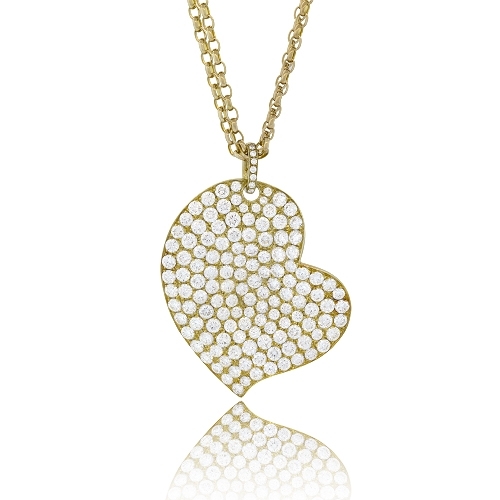 Double rolo chain with dangling pave heart pendant mounted in 18kt yellow gold. Diamonds approx. 5.74ct. Chain 18".